The use of palette knives are a mark of skill, for as an artist. Historically, they are the tool of elderly masters, being a firm favourite of artists from Picasso to Kyffin Williams. Although they are less intuitive than a brush, they can be far more rewarding. 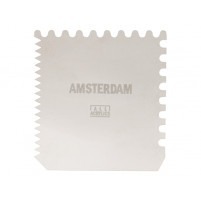 We stock a variety of shapes and sizes of palette knives, some of the best being Talens palette knives. They are traditional palette knives, with a two-piece blade and a wooden handle. 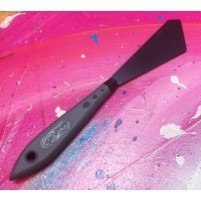 Talens produce very authentic palette knife with expressive results. 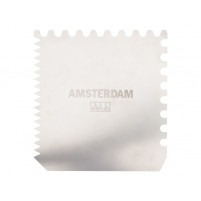 Amsterdam have created their own line of palette knives, with a plastic handle and bladed with a single piece of metal. Their blade is thicker than that of the Talens, meaning less bend in the blade and a more direct translation of your movement. So why not just use a brush? 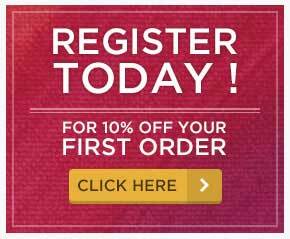 Ever looking for a hard, expressive quality in your painting? Strong, defined mark making that is beyond a brush? Palette knives are for you. They come in all shapes and sizes and so really help to maximise on your creative flair and expressiveness. 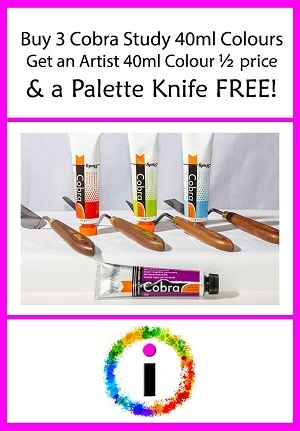 Whether for just mixing paint on the palette with ease, or scraping oil paint straight off the canvas, as well as creating an expressive, definitive quality in your painting, palette knives can add a new technical dimension to your artwork that you just cannot get from a brush! They are also remarkably quick and easy to clean when the paint is still wet, especially with metal knives. 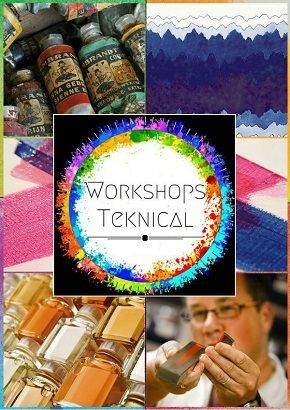 Or you can simply wait for the paint to dry and then peel it off, or scraping it off with a real knife once dry is also a great method. In this way, palette knives last for a very long time, almost indefinitely, unlike brushes.